These pages will attempt to record how life changed for Westerham during the first 20 years of the 20th century. 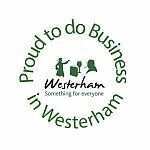 We hope to update the website each year to document events during that period and the history of those families who lived in Westerham in those years. Census record are available on the page Before the First War. We hope that shops and businesses will be able to take part in commemorating what life was like for their ancestors 100 years ago.